I love this kind of stuff! I usually draw this type of design on with markers, and let it evolve as we go. 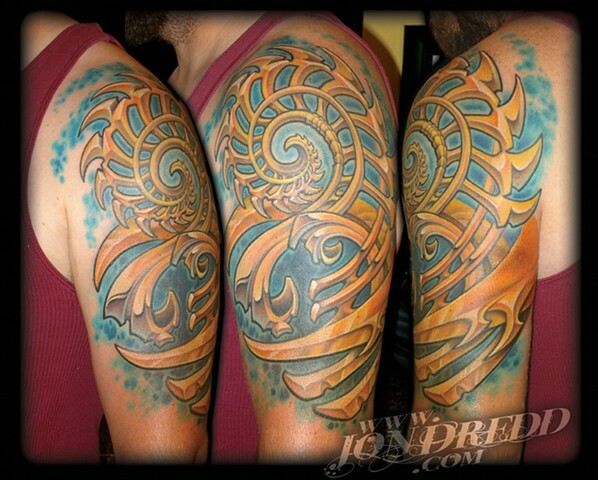 BioMech tattoos are like living pieces of art as we work through all of the details through the process. Always fun, and always different. This one has a small cross cover up in there, and was started years before I had the chance to finish it.